Tell us a bit about Locus Robotics and how you got started. Locus Robotics is an autonomous warehouse robotics company to support critical e-commerce fulfillment operations for retailers and 3PL providers. 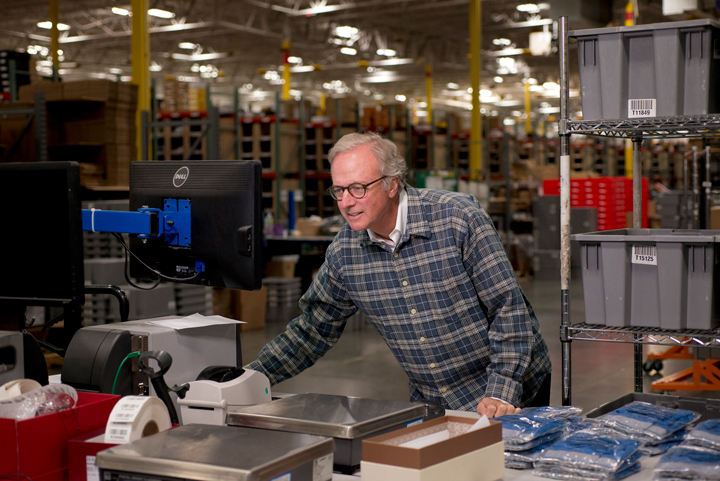 Locus was incubated inside of Quiet Logistics, our e-commerce fulfillment company, which had been using Kiva Systems robotic technology until Amazon acquired the company in 2012. We were then informed that Amazon would consume all Kiva capacity for the foreseeable future and that we would no longer be able to use Kiva technology. Because Quiet needed robots in order to honor contracts with customers (in terms of volume, throughput, costs and service level), we decided to build our own robotics solution. After about 2 years of internal “skunk-works” development, Locus Robotics implemented its robots in one of Quiet’s fulfillment centers, and we eventually spun Locus out as a separate company. What elements of Locus Robotics technology allow it to meet the needs of warehouse and logistics facilities? Given that our team has almost five years of experience working with the Kiva solution, we understand, first-hand, how robots work in the warehouse and interact with workers. Plus, our historical business automating warehouses has given us great insight into how warehouses work, so that we can address the real challenges of fulfilling millions of orders accurately and quickly. Locus robots are designed to work with humans to help make them more efficient. The majority of e-commerce fulfillment labor in a facility is related to picking and stowing inventory. Our robots are built to work collaboratively with humans, taking over the arduous, inefficient tasks, like walking and locating inventory, and allowing humans to focus on the work that they do best: the actual picking and packing of orders. Our system software is also designed to optimize each robot’s travel path; LocusBots will take the shortest and most efficient routes through the warehouse to each pick location. Workers stay in ‘zones’, allowing them to walk less and pick more frequently, compared to traditional methods. This significantly improves the overall speed and volume they are able to deliver. For 3PL companies and e-commerce retailers looking to maximize efficiencies and throughput in preparation for the holidays, what are the benefits associated with deploying Locus' robots to support their fulfillment operations? We address the most challenging aspects of fulfillment operations, which are staffing for growth and peaks, managing labor costs, and fulfilling orders quickly. Plus, we make the picking job easier by freeing up the workers’ hands and eliminating extraneous, non-productive activities. Give us an idea on the setup procedure and time needed to implement Locus’ robots. Locus can be implemented quickly. We install a server, a WIFI network, and install “LocusPoints” which are points of interest (robot stopping points) in the building. We then build an image map of the space, which all robots then share. We associate the LocusPoints with warehouse (WMS) storage locations so we can position the robot near the location (hence the name of our company) where the task needs to be performed. This setup can all be done in a few days. The critical path task for the setup and implementation is the integration with the WMS. The Locus system needs to be able to send and receive transactions (such as tasks-to-perform and task-results) in real time so that the WMS is kept up to date. This integration can take anywhere from 2-4 weeks depending on the complexity of the tasks and the availability of resources on the customer side. Once up and running what kind of maintenance and training are required to operate the systems? Locus provides bumper-to-bumper maintenance, which is included in the per-bot pricing model. This includes replacing the casters, wheels, and batteries (the consumable parts) and repairing any parts that need servicing. Training is a snap. Most workers can learn the system in about 10 minutes with some additional training required for supervisors and leads that need to manage the operations. Locus has several impressive clients, including Quiet Logistics and DHL Supply Chain. What kinds of results are being reported back to Locus from your customers so far? We are seeing a fairly consistent doubling of pick rates within the first 2 months. The topic of robots eliminating blue collar jobs has been everywhere this year. How does Locus Robots respond to these fears that warehouse jobs will be taken over by robots. I am often asked this question and I find the answer is a difficult one. As an entrepreneur attempting to create a labor-saving device and to sell it to warehousing companies, the obvious answer is that we will have some impact on the job market; however, Locus has not found this to be a concern. The rapid growth of e-commerce has led to the proliferation of new warehouses around the country. As a result, there has been a massive increase in warehouse jobs. These jobs are difficult; it is nearly impossible to find enough workers, and the majority of warehouses are therefore extremely understaffed with turnover measurable in weeks. We see our system as a solution to this labor shortage. We do not expect clients to experience a decrease in staff, but an increase in efficiencies that enable to better handle the increasing e-commerce order volumes without the need to add incremental personal. 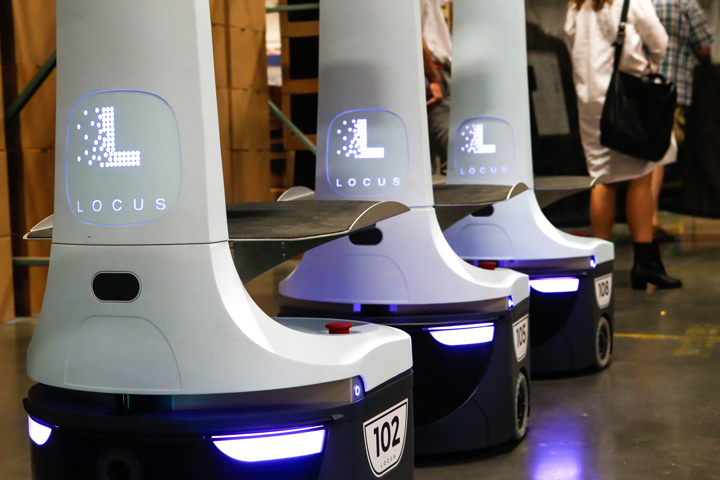 Plus, Locus robots improve the quality of life for warehouse workers, so they will reduce turnover. Where do you see Locus Robotics and the warehouse robotics industry as a whole headed? Too many robot projects are started by roboticists without a use-case in mind. Because robot functionality is currently so limited, there are very few use cases - often, the better-faster-cheaper solution is a non-robotic solution. However, that is changing quickly. My view is that companies (1) start with a problem that is suited to be solved by a robotic solution, then (2) design and build a robot that solves that problem and finally (3) build a business model that makes the robot the best economic solution to the problem. Those that do this will succeed. That is how we have approached it at Locus and it seems to be working for us. We are now living in the golden age of robots and have yet to conceive of all the things they can do for us. At the same time, there are still huge holes in our understanding of how to make robots smarter and more capable in the real world. This is an exciting challenge worth taking on. It is full of opportunities, invention, and disruption to the status quo and we look forward to being a part of it. Bruce Welty, co-founder and chairman of Locus Robotics, is a pioneer and visionary in ecommerce and robotics; he's built, bought and sold some of the industry's most innovative companies. Welty has automated warehouses for Fortune 500 companies, startups, and even built a major third-party logistics company that ships more than $1 billion in e-commerce orders per year for companies including Zara, Glossier, and Bonobos.